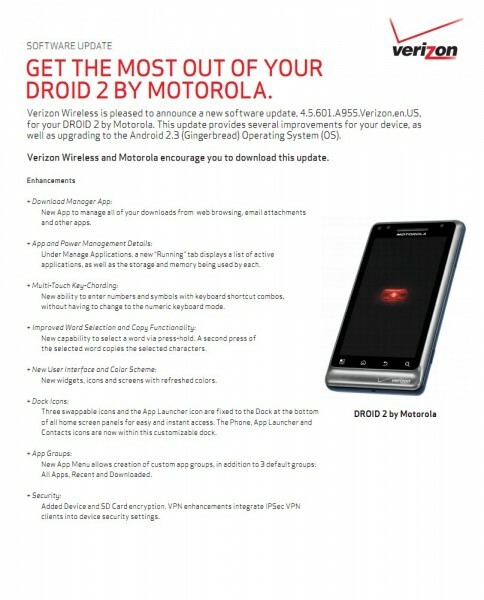 The soak test for the DROID2 Gingerbread update was supposed to start this week – whether that has happened or not, we aren’t sure. The good news is, that the changelog for the 2.3 update has been made available, which is almost always a good sign that the update is just around the corner for everyone, not just testers. Unless of course they find some sort of major bug like they did with the DROID Incredible. As you can see from the screenshot above though, the update is a big one that weighs in at 106MB and will take your Blur build to 4.5.601. 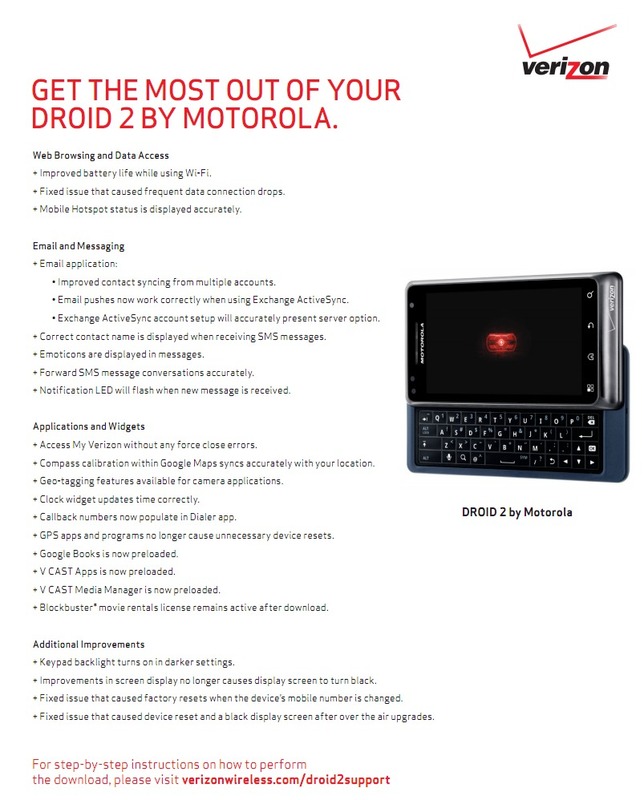 With 2.3, DROID2 users will enjoy new multi-touch keypad shortcuts, the blue Blur, home screen app dock, organizable app drawer, improved battery life, and so much more. Page 2 changelog after the break. Be sure to let us know if you just so happen to receive this update in the next couple of days.